Installing a mobile audio system involves much more than just hooking up some wires and driving in a few screws. Almost all vehicle manufacturers have realized that some amount of audio system tuning will dramatically improve their customers’ experience. When you decide it’s time to upgrade your factory audio system, we need to take into account any tuning that may have been done by the factory. It’s not easy, but at the same time, it’s not impossible. 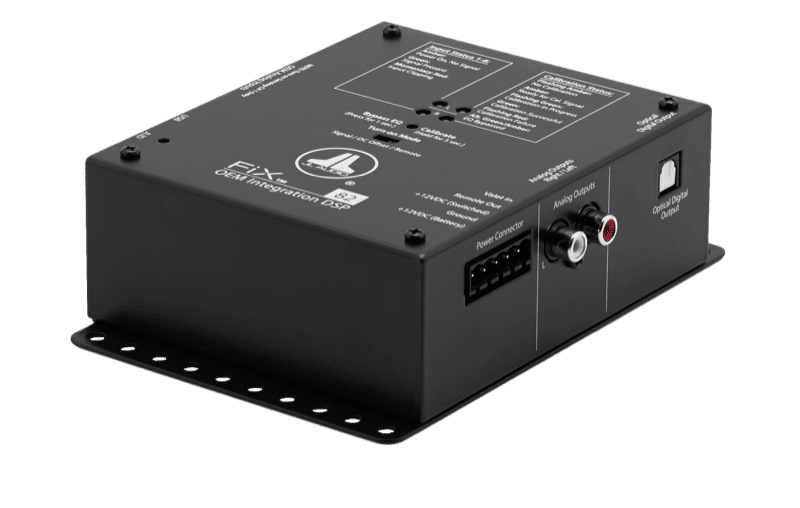 This article provides a brief look at what is involved in connecting a new amplifier and speakers to your factory source unit or amplifier, or as it is called, OEM integration. No, we aren’t talking about the Earth. One of the first steps in designing a premium audio system upgrade is to measure the electrical signal that is being sent to each of your speakers. Why? As we mentioned, more and more factory source units and amplifiers include advanced signal processing. Even some of the most basic audio systems with only four speakers have custom equalization for each speaker. Once our installers know what they are dealing with, they use that information in designing your new system. The signal measurement process should be done before system design. If the signal is flat (no equalization), then the system design may take a different direction from when the signal is equalized. Compensating for factory equalization requires that some kind of equalizer be installed in the new system. Either way, we have to allot time to measure the acoustical response of the new system and make appropriate adjustments. Think of this process as though your installer were a surgeon preparing to solve a medical problem for you. The surgeon will order x-rays, scans and many tests long before you’re on the operating table. Nobody wants to start work on a project without knowing what they are dealing with. Modern car audio systems are no different. Automobile manufacturers strive to make all their customers happy – within a certain budget. This goal includes providing an enjoyable audio experience for everyone in the vehicle. 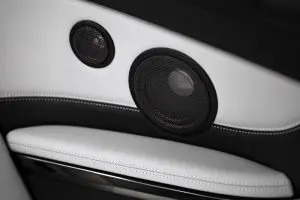 Many mid- and high-level factory audio systems use a center channel to help create a listening experience that is enjoyable for both occupants of the front seats. Configured properly, a center channel can help create a realistic soundstage from both seating positions. Trust us when we say that some of the people who tune these factory audio systems have a lot of experience doing what they do. When we want to upgrade the audio system in a vehicle with a center channel, we have to reverse-engineer how that speaker is functioning. Is it a mono signal that is the sum of the left and right signals? Is it an up-mixed signal that plays sounds that are not reproduced by the left and right speakers? It could also be a little bit of both. Your installer will have to do some tests to decide what is happening and how to deal with it. Do We Undo or Up-do? 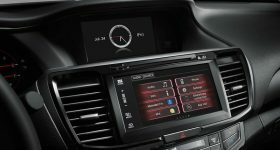 If you have a vehicle with a genuine up-mixed center channel, one of the best ways to upgrade the audio system is to leave the processing alone and add better speakers, amplifiers and signal processing. With this method, we can create a sound system that sounds amazing from both the driver and passenger seats. The basic concept is to take the left, center and right signals; recombine any frequency filtering; then send those three signals to whatever speakers you choose for each side of the vehicle and the new center channel. Often, the new system will be a three-way speaker set in the doors and maybe the A-pillars, and a two-way system in the center. We will most certainly use a digital signal processor and/or an integration processor to do the signal filtering and tuning for the new system. The JL Audio Fix 82 can “fix” a number of factory signal problems. Several processors on the market can sum filtered channels together and undo factory equalization and time alignment. Some of these processors require manual adjustments and some work automatically with a custom setup track. After using one of these processors to provide a full bandwidth signal, we can then use digital signal processing to set up the new system and compensate for the vehicle acoustics. 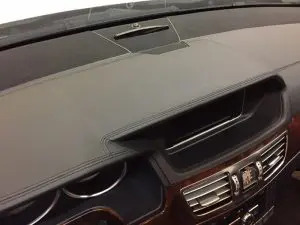 Just as the vehicle manufacturer chose to equalize the signal going to each speaker, we need to do this to maximize the performance of your new system. What if We Don’t Undo What They Did? Imagine a simple scenario: You have a car, perhaps a Nissan Altima. Even the base model audio system has equalization in this vehicle. Equalization is based on the speaker that is being used, location of the speaker and acoustic effects of the vehicle on the signal from that speaker relative to the listening position. If we change the speaker to one that is better, the factory equalization can – and most likely will – work against us. That nice new speaker may sound worse than the cheap factory speaker. After all, the manufacturer tried to make what was likely a low-quality speaker sound OK. 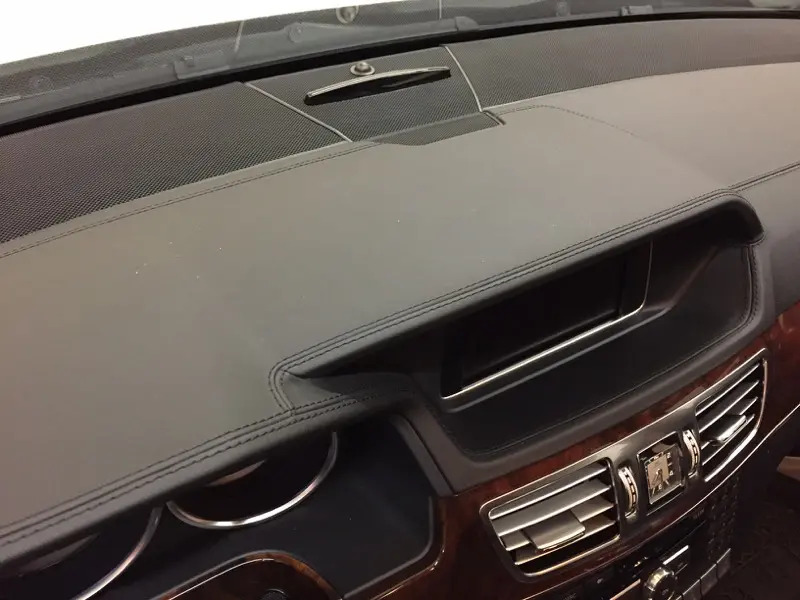 When it comes time to upgrade the audio system in a fairly new vehicle, make sure you are working with a mobile electronics retailer that knows how to evaluate the existing audio system properly. If you are changing the source unit, then it’s no big deal. But if you are using the factory radio and/or amplifier, proper testing is crucial. Don’t be scared or discouraged. A well-trained retailer can transform any audio system into something truly amazing! Drop in and see what they can do for you.